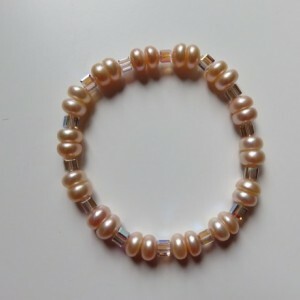 7.5" stretchy bracelet with genuine 8mm garnets & 8-9mm Baroque freshwater pearls & Swarovski bicone crystal beads. 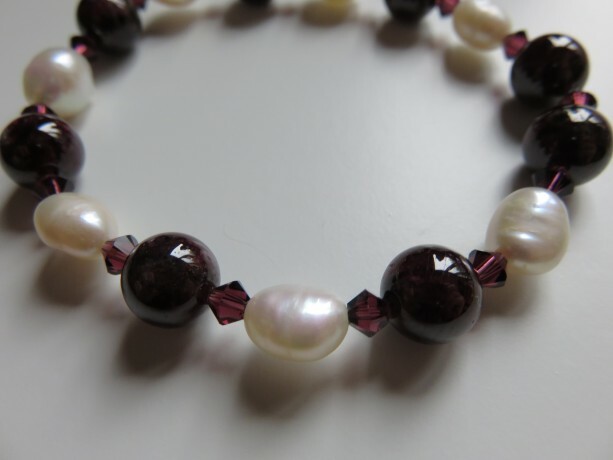 The garnets in this bracelet are very dark. 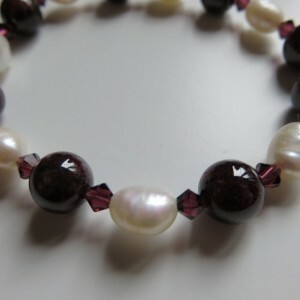 You can see the burgundy hue in natural sunlight and even bright lights but they are very dark and non faceted. This was named in honour of my goddaughter whose name is Josie and whose birthday is in January. Since garnet's are January's birth stone I made this for her. 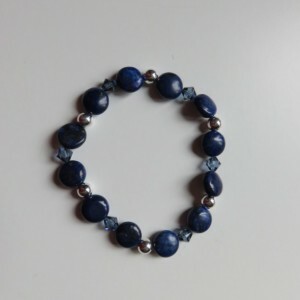 Obviously a great Fall/winter bracelet but this bracelet looks great with jeans! Stack this with Just Pearls.